Did you know that there are a variety of photopolymer stamp sets not in the catalog??? There are a ton of cute sets (note: they are while supplies lasts)!! One of my favorites is the Endless Birthday Wishes set. It is super versatile, and I love that you can create custom sentiments! 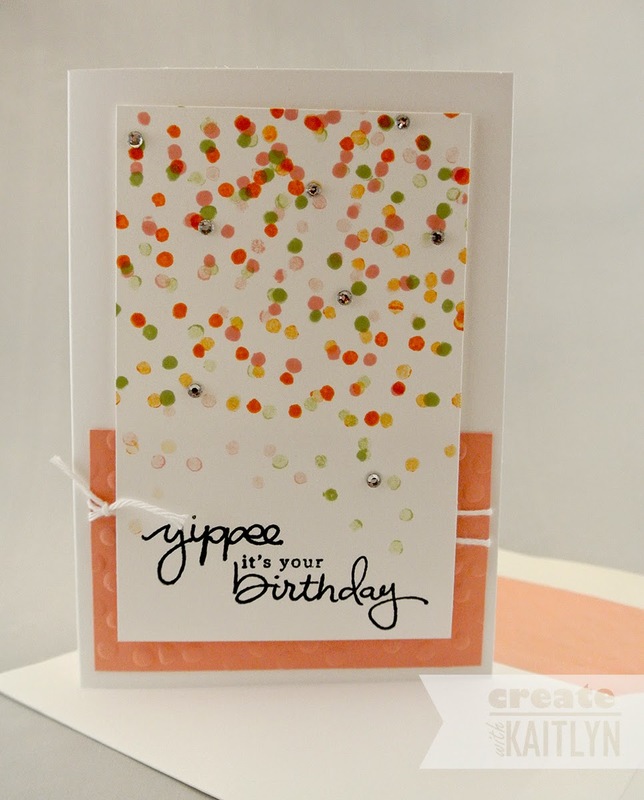 These confetti cards are just adorable and soooo simple! I just stamped the dot image from the set multiple times in different colors. The great thing about this set being photopolymer, is that you can easily line up the words since you can see all the way through the stamps. There are a ton of sentiments you could come up with using this set! 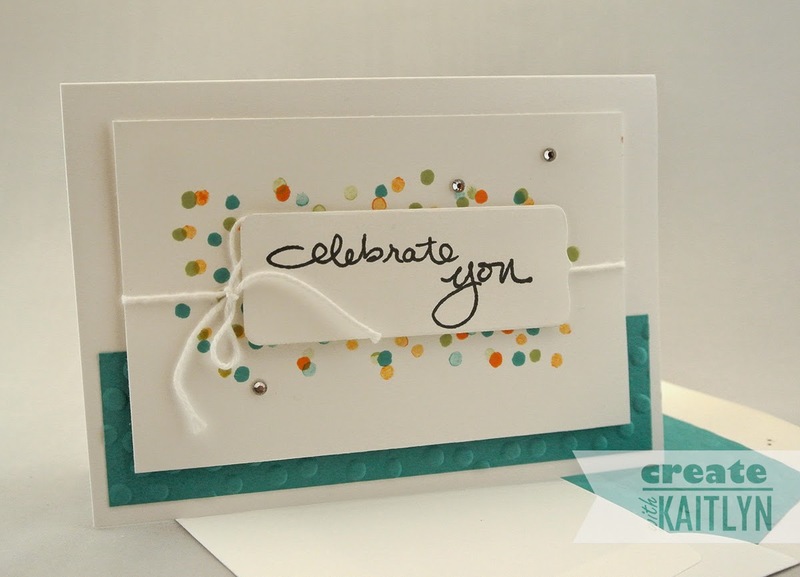 The Decorative Dots Embossing Folder reflects the confetti feel perfectly! I used it on the cards and for the Envelope Liners. Just the few simple embellishments of Rhinestones and White Baker's Twine make these cards complete. Both cards have a clean feeling while still being fun!